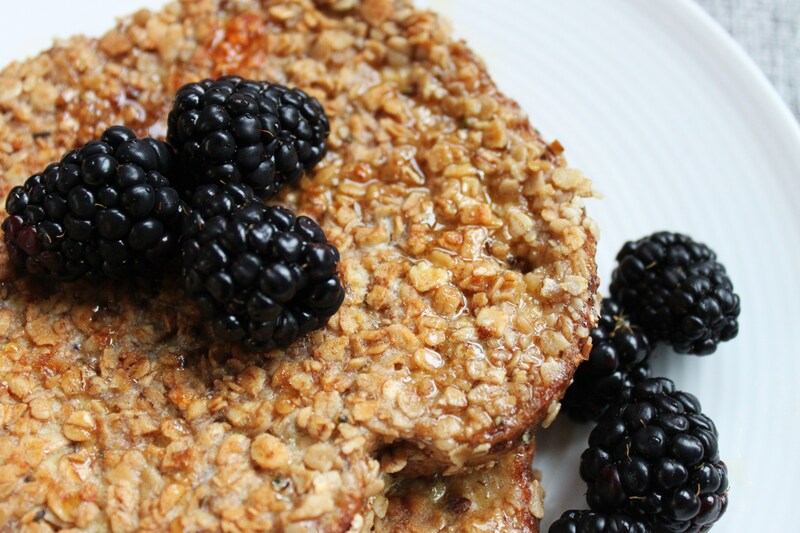 Try adding a little something extra to your french toast with a combination of oats, cinnamon and hemp seeds for a crispy coating and nutrient boost! Heat a large pan on low-medium heat. Add about a tsp of coconut oil until melted. Mix the eggs, milk and vanilla on one medium sized plate until combined. On another medium sized plate mix the oats, cinnamon and hemp seeds. Dip each slice of bread in the egg mixture to coat. Then dip in the oat mixture, and dip again in the egg mixture. Lay in pan and cook turning once until golden brown on both sides. Add more coconut oil as needed as you cook the french toast. If you don’t have room in your pan to cook all at once, you can cook each slice separately and keep warm in the oven. These are great for adults and kids (you can slice them into french toast sticks) add some pure maple syrup (and/or almond butter…yum!) and your favourite fruit and you’re good to go!